Virgil A. Biggs received his degree from Ferris State University. He opened his first CPA office in Saranac in 1971, and is a founding member of BHT&D CPAs. Virgil has been instrumental in bringing in partners and staff over these 40+ years to grow the firm to the quality and successful organization it is today. Virgil has transferred his ownership to new shareholders, but is still very active in the Firm’s accounting practice and remains a vital part of the organization. 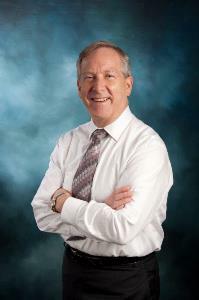 His areas of expertise include personal income tax preparation, and financial and tax planning services. He participates in various charitable and civic activities. Virgil is also an active owner in the firm Biggs, Dickinson & Roberts Wealth Management Services, LLC.